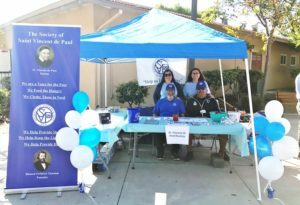 On October 15th, 2017 Most Holy Trinity Parish in San Jose, Ca held its annual Ministry Fair. The fair is held to provide visibility to the many Ministries that are available to join. This always popular annual event allows parishioners to join various Ministries which are setup to provide services to the community. If you would like to join our mission in helping the needy in our community please click the link below for details.